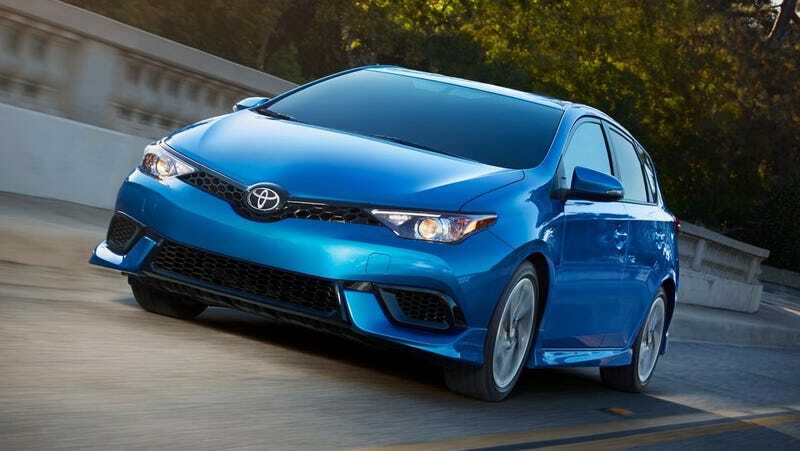 There is a bit of excitement right now about the all-new 2019 Toyota Corolla hatchback, a stylish small car that is fun to drive—and even available with a manual transmission. However, the new Corolla hatch starts at $21,000 and maxes out around $24,000, which can make it a tough sell against the Mazda 3 and Honda Civic that bring a little more performance to the table. But a lot of folks forget that there was another Corolla hatch on the market and it came from the now-defunct Scion brand—the Corolla iM. Recently I’ve been getting a lot of requests for affordable hatchbacks. While there are plenty of quality cars to choose from, this particular five-door with a funny letter combination from Toyota fell off my radar only to reemerge as what may be the be the best combination of reliable, safe, and budget-friendly. The iM came out under Scion at a time when the brand really didn’t know what it was trying to be. When we drove the iM back in 2016 we found it to be a “good” car, but not terribly exciting and not really a replacement for the original Scion xB hatchback. Though as Jason Torchinsky pointed out, the “M” in iM is a call back to the Toyota Matrix that we remember fondly. The Scion brand got folded into the Toyota lineup and the badges and names were changed on a few cars like the iM and the FR-S (now called the 86). Due to the iM’s odd status, it took a hit in the second-hand market that is uncharacteristic of a Japanese car and now lightly used examples can be had for very reasonable prices. I focused that search on the 2017 model, as that was the year that Toyota made standard its safety sense suite that includes pre-collision intervention and lane-keeping assist. Those are features that are often requested but difficult to find at this price point. The iM may not have been the most exciting hatchback, you could get it with a manual transmission, but if you are looking for a package that has the reliability you expect from a Corolla combined with solid fuel economy, modern technology, an available manual and a bit more practicality than a small sedan, it’s an impressive value.